Leeds Wedding Car Hire, Limousine Hire for Weddings in Leeds and Vintage Wedding Car Hire in Leeds. ​Leeds Limos are your number one choice for one of the largest selection of wedding cars, vintage wedding cars and classic wedding cars in Leeds. We guarantee to offer you the best range of cars at the most competitive prices. Scroll to the bottom for all current cars. Click here to call Leeds Limo Hire. It’s your big day! Everything else is in line and plan in order, now let us provide you with a one of a kind service that is unique to your day! You’ve got the flowers and the colour scheme, the colours of the groomsmen ties match the bridesmaids, the food has been tested and confirmed, the venue is booked and decorated, what is left? Your transport... well here at Leeds Wedding Car Service we want to help you have the best day of you lives and everything that you dreamed of. Picture that you’ve had the best day in your life, you’ve thrown the bouquet, family throwing their final handfuls of confetti all over you as you step out of the venue doors to have a timeless ride off into the sunset, bubbles in hand, inside of a beautiful white stretch limousine with windows tinted taking you off into the sunset together. What can you expect from Leeds Wedding Car Hire? 1. In Sickness and in Health. Your wedding day just has to be one of the best days of your life. Every detail and second should be perfect and exactly what you dreamt of. We also understand the stresses of organising and planning your wedding so we don’t want you to miss anything out, let us take the strain of transport so you can concentrate on the more important things. at St George’s or any of the other Churches, or whether you’re planning a civil ceremony, we will work with you on all the details to make sure that all of your transportation needs are catered for and run seamlessly. 3. On Call All Day. We will be ready with our professional chauffeurs to take you wherever you need/want to go. Don’t even dream of getting in a taxi with wearing that gown ladies! Through ought the day we will be at your beck and call, for whatever you need and yes we’ll be ready to change the schedule. We’re here to create the memories that will last a lifetime that you’ll cherish. 4. Ride off into the sunset. The vows have been taken, and the drinks have been drunk, the cake has been cut and the day lived up to your every expectation. Now breathe. ​Your Leeds Bentley wedding car hire, or Rolls Royce car hire Leeds will take over from here. Don’t worry everyone is going to watch you drive off into the land of honeymoon in a beautiful stretch limousine parked outside with the chauffeur waiting to open the door for you with two glasses of fizz. You smile knowing you have made the perfect choice….Leeds Wedding Car Hire service…! "The Daddy" is a Hummer and is a one of a kind, custom built design especially for us, so if you want a totally unique experience, say for yourself, Bridesmaids or special guests, and give everyone that extra special star entrance of their own, you're sure to achieve this with The Daddy of all Hummers. It's an unmissable experience of a lifetime. The Chrysler 300c Stretch Limo, which is also known as ‘the Baby Bentley’ is one of the most striking an eye-catching limousines in our fleet which everyone is in awe of. This limo has been custom designed & built exclusively for our Company. 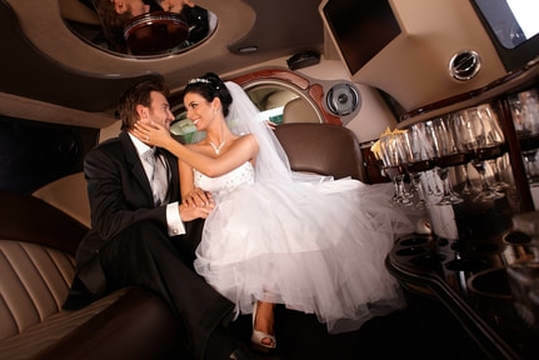 You, your husband or any guests that you wish to ride with you are guaranteed of the most luxurious experience. The white Hummer H2 Taboo is one of our flagship Hummer's of the fleet. Seating up to sixteen passengers, this stretch hummer is superb in every way and fully equipped with features you could only dream of including a full length walnut fibre optic, colour changing champagne bar, and a Red VIP area with a separate champagne bar. We have a wide variety of choices of wedding car hire in Leeds. Below are listed our Bentley Wedding car hire Leeds and Rolls Royce wedding car hire Leeds. We also have the Range Rover Vogue Autobiograpy, the Mercedes S Class, the Porche Panamera Turbo and the Aston Martin Rapide to choose from. If you’re looking for individuality and grace, then the Rolls Royce Phantom is the car for you. Rolls-Royce's Bespoke team collaborated with us to make more than a distinctive design.This fabulous, unique custom-built car cost more than £380,000 to make and is available for your wedding day, so give us a call before it gets booked up. The exterior of this Rolls Royce is sleek and dominating It’s an ideal car to make an flash entrance with as well as providing brilliant photo opportunities from the unique door reverse openings. The exquisite interior is spacious enough to seat up to 4 adults and is particularly ideal for a flowing dress with it’s large doors for easy access. ​our luxury Rolls Royce Ghost has a finish of pearlescent white with the hand-stitched white seashell leather interior which is so comfortable. It’s a top of the range Rolls Royce; the hand-built masterpiece is the perfect wedding car to provide you with the memories forever. ​This stunning rare Phantom is finished in old English white with contrasting cream leather interior, polished walnut door and interior cappings, plus blue Wilton carpets. Don’t confuse this one with other similar lookalike kit cars. ​opportunities either at the church or reception venue. The interior is matching with full cream leather interior with navy blue piping and navy Wilton carpets. With this cars stunning looks and appearance, it is the perfect choice for any bride on her wedding day. Or finished in metallic champagne silver gold. The interior boasts full ivory cream leather interior piped in red with matching red Wilton carpets with ivory piping. Both have a retractable rear roof for a perfect photo shoot opportunity. These cars have been specifically designed for weddings with easy access to the rear doors and have ample space for up to seven passengers. This is, in fact, our view of the perfect wedding car for the groomsmen or bridesmaids. A discount is offered if both the Bramwith and the Badsworth are booked as a pair of cars. We have some mid-week special prices on these cars and viewing is highly recommended to appreciate this stunning pair of cars. ​Congratulations and all the very best whichever your final decision may be!